On Friday, the Disney and Marvel Studios’ tentpole surpassed Harry Potter and the Deathly Hallows Part 2 to become the third-biggest tile of all time at the worldwide box office with a cume of $1.331 billion. The final Harry Potter film, released in July 2011, earned $1.328 billion. Avengers will rest at No. 3. Avatar remains the No. 1 title of all time with a worldwide gross of $2.8 billion, while Titanic is safe at No. 2 ($1.8 billion). Both those films are from James Cameron. Avengers also shattered another record domestically on Friday, surpassing The Dark Knight to become the third top grossing film of all time with a cume of $538.1 million. Dark Knight earned $533 million domestically. Internationally, Avengers has now earned $793.2 million, the fifth-best showing of all time. 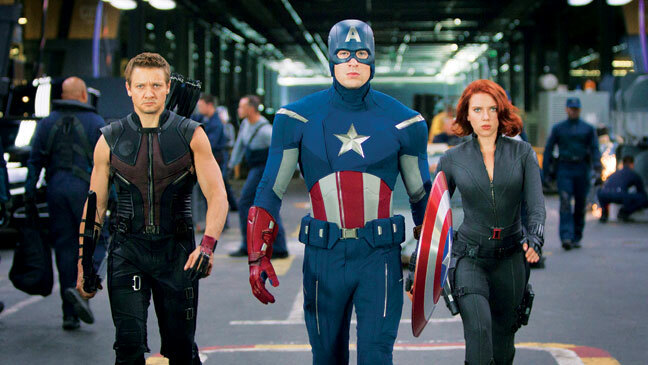 via Box Office Milestone: ‘The Avengers’ Becomes No. 3 Pic of All Time With $1.331 Billion – The Hollywood Reporter.